Over 80 volunteers and out-of-work architects donated their labor to create the fully building, fire and safety code-compliant theatre that would show the eco-inspired plays Oikos and Protozoa. It’s a shame that the theatre was deconstructed soon after the festival was over, though its legacy lives on as it continues to win awards such as the Architect’s Journal Small Projects Award. Infiniski: Sustainable Architecture & Construction is a company by architects Jaime Gaztelu and Mauricio Galeano that “builds eco-friendly living [and office] spaces based on the use of recycled, reused and non-polluting building materials up to 80% [of the total structure].” This includes used containers, train rails, pallets & bottles and recycled aluminum, iron and wood. Their structures, built from used maritime shipping containers, are stunningly sleek and environmentally friendly. Their "Manifesto House" in Chile was built using maritime shipping containers and wood pallets, among other materials. 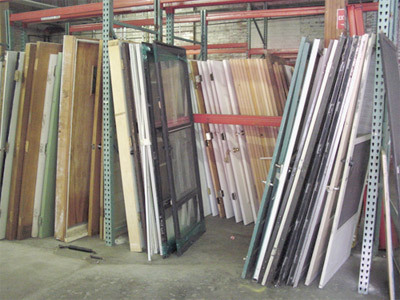 Used glass is another valuable commodity for reclaimed building materials. Take a look at the Wat Pa Maha Chedio Kaew temple in Thailand, constructed from over one million used glass bottles. A monk explains how collection of the glass bottles began in 1984, and construction of the main pavilion was undertaken in the 1990s. Individuals are taking up this eco-building method as well. Meet Tito Ingenieri, who built his house out of six million empty bottles in Quilmes, Argentina. 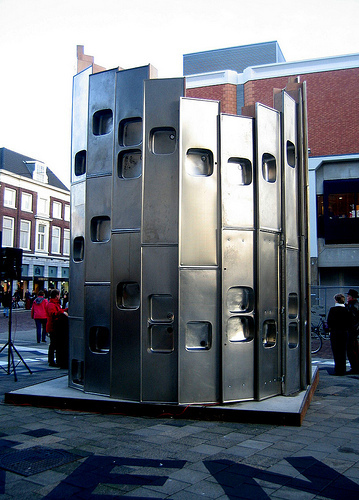 There are hundreds or even thousands of examples of “junkitecture,” some of which are outlandish enough to use ships and airplanes as the skeleton of their structure. However, such realms of reuse begin to come with more challenging parameters of transport and cost. 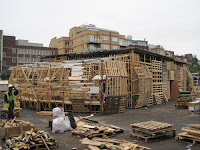 Let’s turn instead to how reclaimed materials can build dreams from scraps. 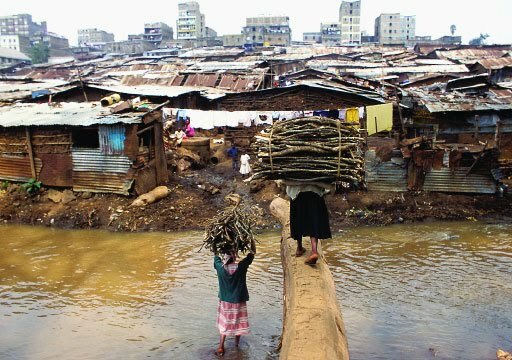 In the same way that slum dwellers use reclaimed materials to create homes because they are cost-efficient, so too can members of the working poor in the United States. Dan Phillips is making the dream of home ownership a reality in Texas, one family at a time. Dan, in partnership with Phoenix Commotion and Living Paradigm, pairs a low-income family with a professional builder. They work as a group to build a small home from the ground up, using 75%-85% second-hand materials. Building homes in this way addresses four major social problems with one activity: reduction of landfill burden, low-income housing, training unskilled labor and providing interim financing (for land, building permits, construction materials etc. that is returned to the fund once a mortgage is taken on the property). The project has become so successful that the City of Houston has created new codes to facilitate the reuse of materials in home construction. Good planning aids the path to developing both and environmentally and economically sustainable dwelling. Open-Source House brings designers together to design and provide better, more sustainable housing in low-income countries using their 8 Design principles. Open-Source House recently held a design competition where architects from all over the world entered design ideas and collaborated with each other to determine the most viable sustainable home model. The winning design will be used to create homes in Ghana. Lastly, using reclaimed materials doesn’t always have to be on a scale as large as building a house from scratch. Cities and communities worldwide can institute measures such as storage places for used building materials that can be easily perused when a home repair or addition is to be made. 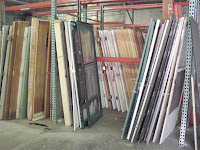 In Portland, Oregon for example, two warehouses—The Rebuilding Center and Habitat for Humanity’s Re Store allow residents to donate rather than dump old doors, windows, wood, light fixtures, tile, and more. These are then resold at a low cost to those that want them for use in new projects. 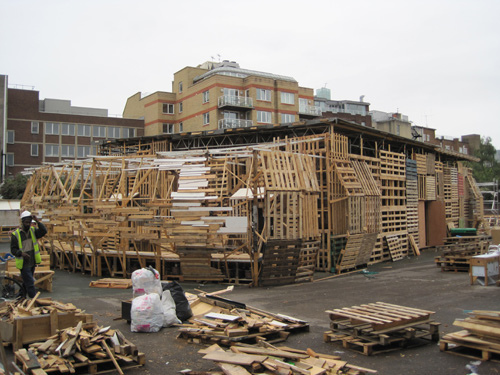 With added economic burdens facing the majority of the globe, right now is a good time to be more creative about how we construct our dwellings. Clearly, some have always used reclaimed materials out of sheer necessity, and others have begun to take a page from their books. The results are inspiring. This is a great project. I think we will have a better world if more people are stepping forward and doing something to help out. We at tool hire lewes are willing to offer our services with these kind of projects.